I found this place accidentally. As I was heading to Bangsar Village 1 through the bridge, I saw the ad for this restaurant (previously at Plan B Restaurant). Thinking I had nowhere specific in mind, I did a U-turn and pop by. The menu is a mix of West and East. I also spotted some fusion-ish dishes.The first time I was here I tried their Seafood Marinara (RM26.90) and Mango Lassi (RM8.90). Both were excellent. The tomato paste wasn't overpowering and the seafood items were fresh. Since it was new, the owner was also around to make sure the dishes and service was good. The pasta portion is about half of normal Italian portion which means you don't have to share to finish. 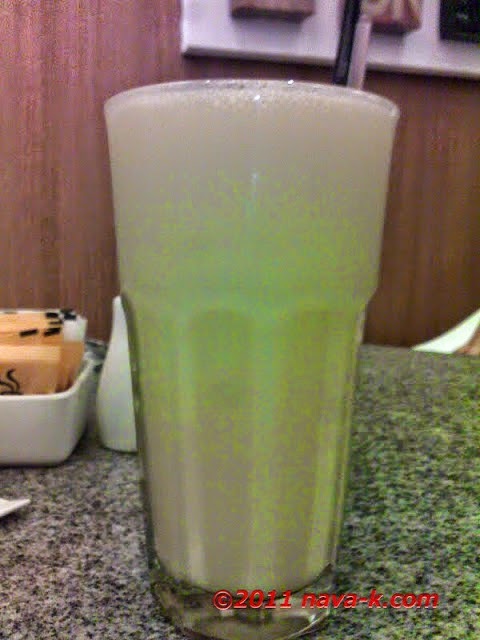 As for the lassi, it was good as well. It had a nice balance of mango and yogurt. The second time I was there I ordered the lassi again. The consistency in taste is good too. Another time I was here, the owner recommended a slight fusion dish called Angry Oleo (RM24.90). It was tossed with lots of mushrooms and greens with chilli padi. This I like very much. 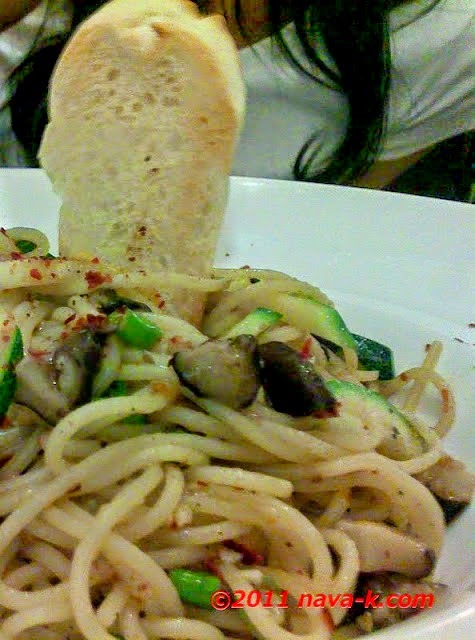 The spiciness went well with the pasta and the mushrooms were also the fresh variety. I think I’ll go back to try their Asian dishes the next time I’m in the area. 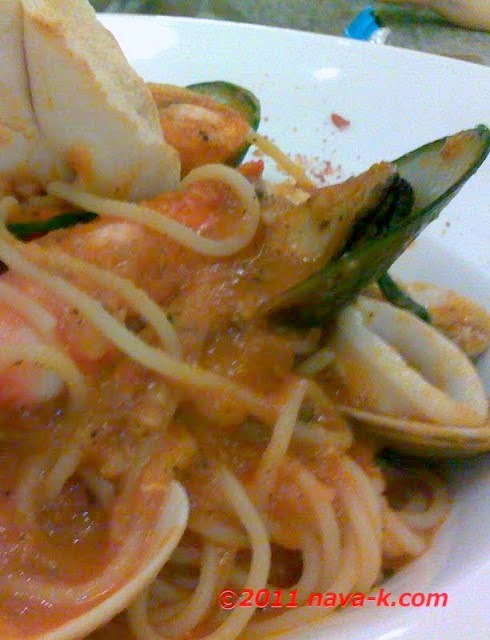 That seafood marinara looks so delicious, the best one I tried in Malaysia was in the hotel in Mid Valley Megamall if I can remember it was Citi Cafe! It is one of my favourite pasta dishes. Pak Lan - am not about the cafe you are referring to. Lindy - its normal for us here to add chilly padi into cooking and recipes. Raymund - you sure know Malaysia well.